Hello dear artists. 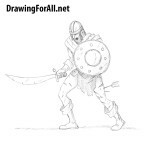 We very often draw characters and monsters from different role-playing games. Basically, this applies to role-playing games in the setting of classic fantasy. But today we decided to draw a creature from one of the most unusual and beloved by everyone role-playing games, in which the actions take place not in the fantasy Middle Ages, but in retro-futuristic post-apocalyptic America. 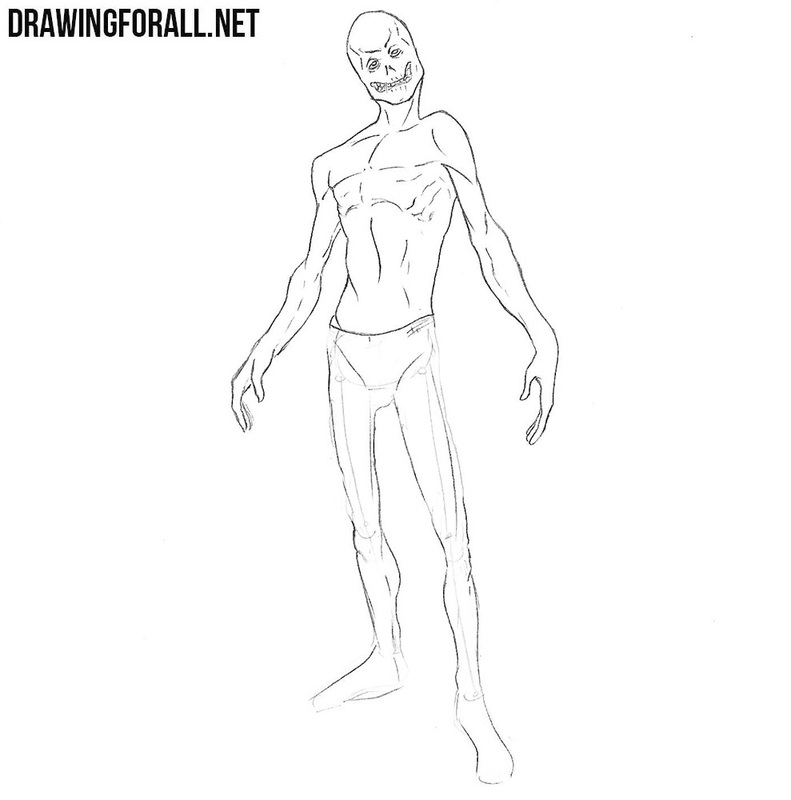 So, meet the lesson on how to draw a ghoul from Fallout. Our beloved ghouls are essentially the result of all-powerful radiation. In appearance they look like evil and creepy zombies, but in fact it is not so (not quite so). Whatever it was, we begin our lesson with sketching the skeleton. Sketch out an oval head. Further the neck which passes to a spine. Sketch out the chest and pelvis. 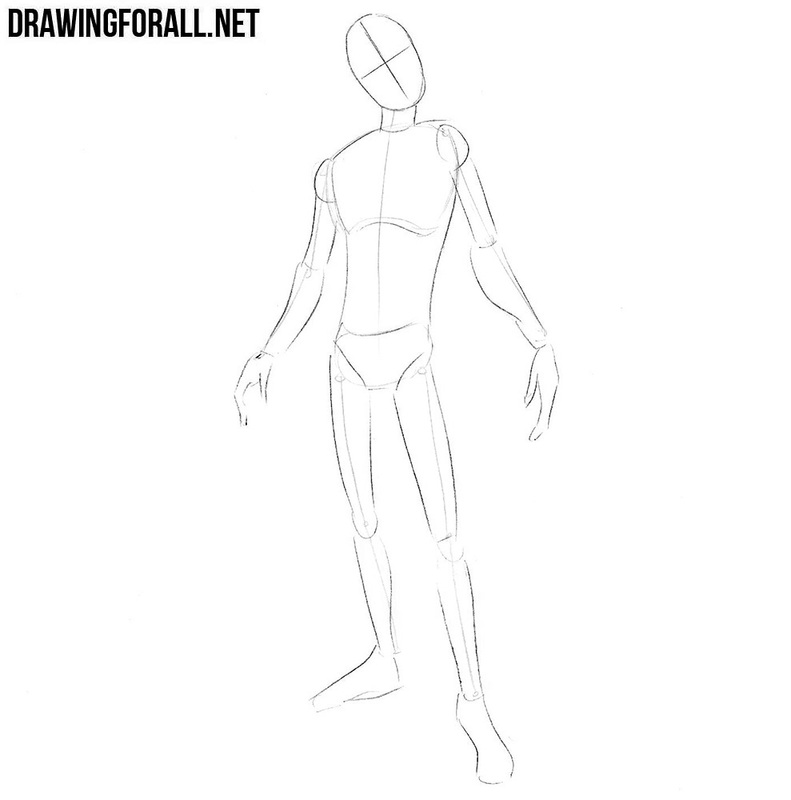 At the end of the step draw the arms and legs. Let’s make the outlines of our ghoul more similar to what we saw in the Fallout. The outlines of the body should be very wavy, as if the skin drains off the ghoul. But despite this, the outlines of the main muscles and joints should be visible. Now let’s move on to the basic details of our radioactive being. And we begin as always with the head. First of all draw out the eyes. If you look at them, you will feel that he is going to fall asleep. Next draw the mouth of our ghoul, twisted in an incomprehensible form. He smiles? Or maybe he feels bad? We do not know. We continue the drawing lesson about how to draw a ghoul. This will be a fairly simple step in which we will need to draw the folds and contours of bones that are visible behind the decomposing skin. Now let’s work with the upper part of the body of our ghoul. 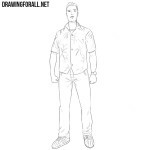 Accurately draw out the lines of muscles and bones. 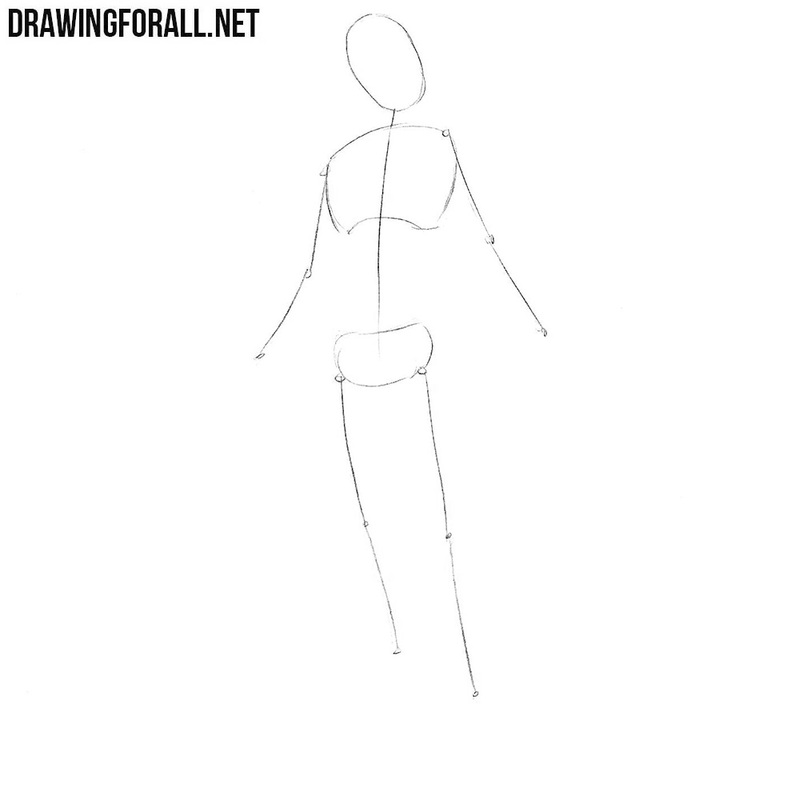 Use curved lines to draw skin folds. Now we will do the same with the lower part of the body of our post-apocalyptic creature. Draw out the torn pants with folds, pockets and seams. Draw the legs with a lot of folds and veins. Do not forget to erase all unnecessary guidelines from the body of the ghoul. Let’s take the final touches, making our ghoul more voluminous and realistic. 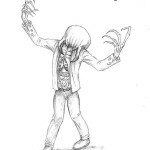 Draw the lines of branching veins on the body of the ghoul. 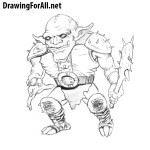 Using hatching make shadows. By the way, in the lesson about the grapes we showed how to draw shadows in details. It was the tutorial about how to draw a ghoul from Fallout. 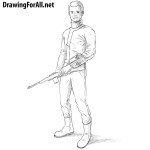 Do you want new drawing lessons about the Fallout universe? Let us know about this in the comments to this article or on our social networks.